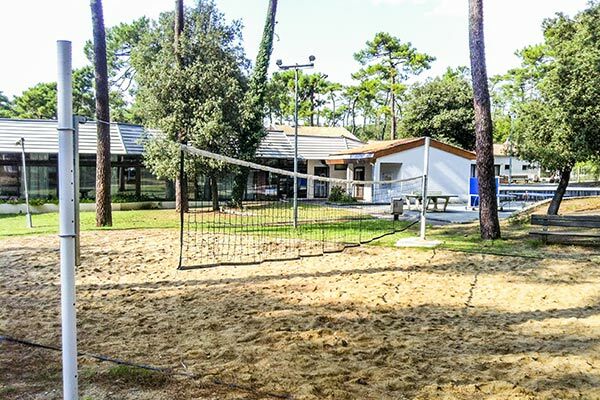 4-star campsite in Saint-Georges-de-Didonne and enjoy a holiday in complete serenity, in contact with nature ! For the safety and tranquility of everyone, the site is pedestrian, charcoal and wood barbecues are prohibited. At your disposal, the new generation collective sanitary facilities. In a unique natural site, enjoy the tranquility of the place and the contact with nature. 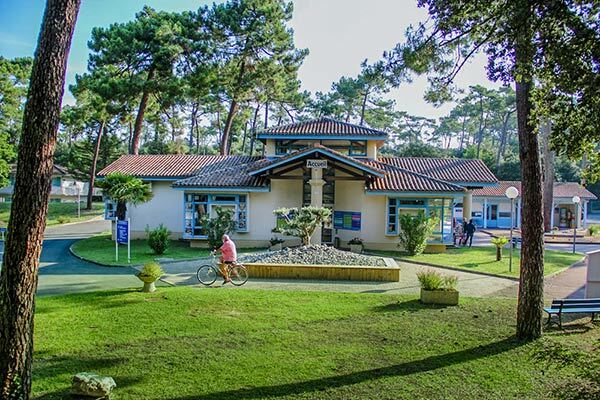 The Domaine de la Forêt de Suzac in Saint-Georges-de-Didonne offers you its warmest welcome and quality services to make your holidays as pleasant as possible, for an unforgettable experience. 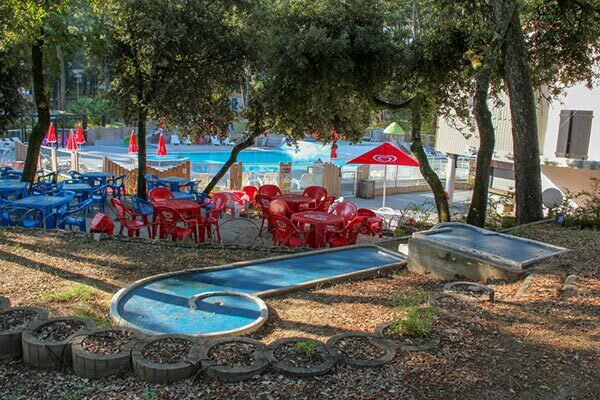 The swimming pool, the rentals and the services of the campsite will allow you to have fun every day but unfortunately to see your holidays pass too quickly. 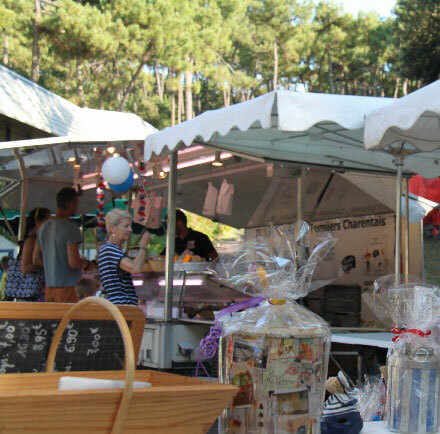 This campsite is particularly well located in Saint Georges de Didonne and a stone’s throw from Royan. 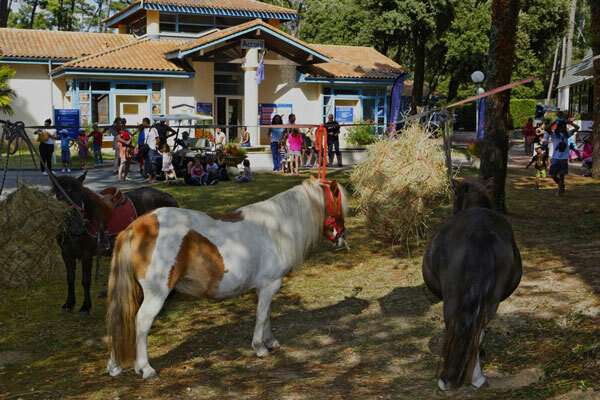 In the heart of the Charente Maritime, you can enjoy our quiet facilities for a holiday under the Charentais sun. Your children will enjoy a playground with a slide, swing and sandbox. Pony rides are also suggested. The children’s club is totally free and takes care of entertaining your little ones, open from July 01 to August 31, from 4 to 12 years old and without registration. 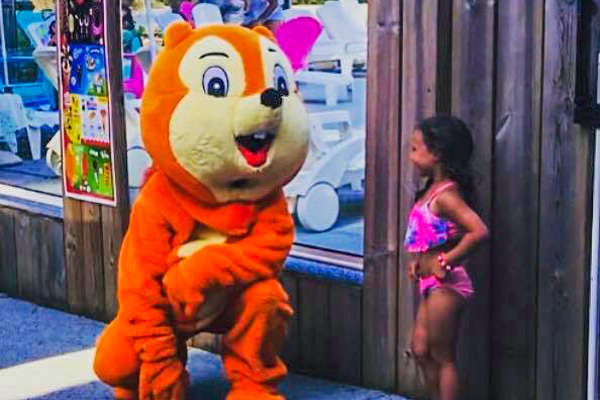 Our dynamic and inventive entertainment team seeks to satisfy young and old, manual workshops, games, sports activities, zumba, aquagym, beach outings, everything is done for you! 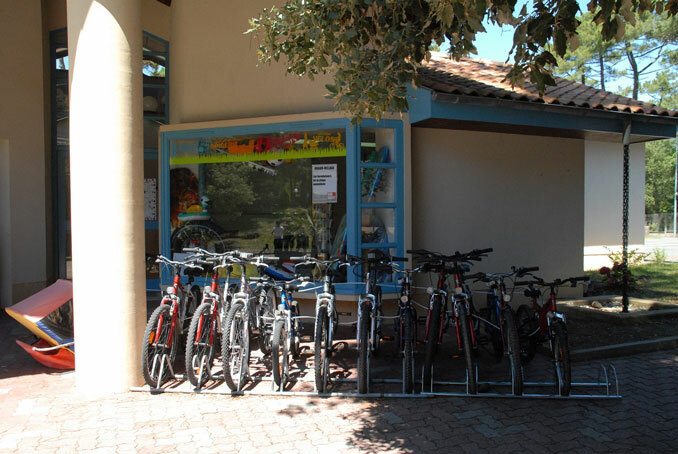 As for ados, it offers mountain bike outings, various tournaments and night activities on the dance floor ! The Mascot of Camping Cracotte loves to cuddle and play the snipe, she also likes to take a break for photo shoots or dance the Village Vacances dance with all her friends. The children love her and are always waiting for her to come with impatience. 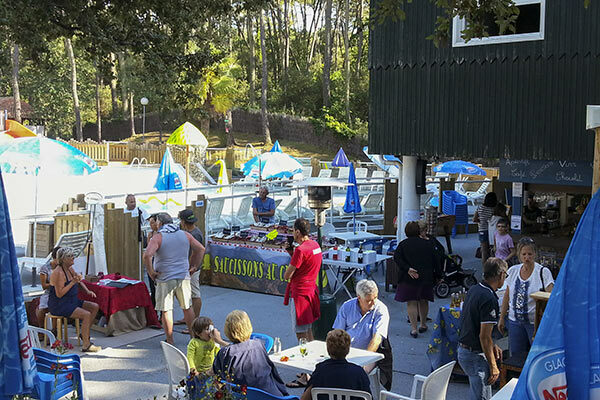 Your evenings are organized around shows by the entertainment team, lotto, karaoke, disco and we welcome local concerts. A holiday without the hassle of meal preparation? 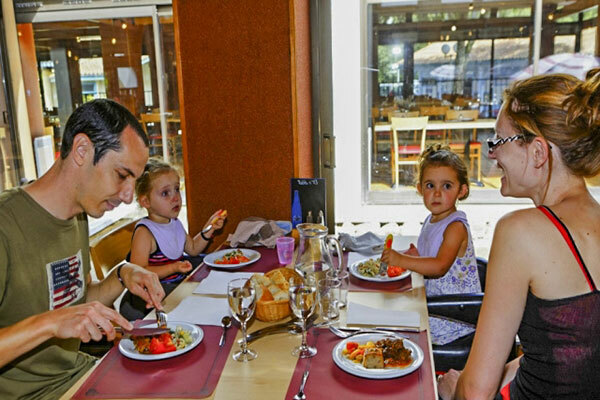 It is possible in our Village Vacances « Océan Vacances » , on site, our restaurant in the form of buffets offers you a half board or full board according to your desires to enjoy a real holiday! 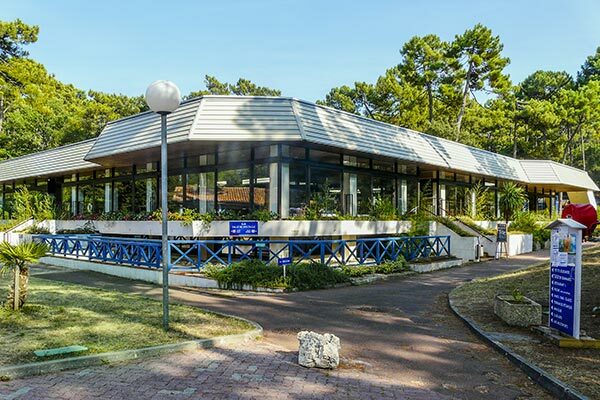 Or just for one evening, for a dinner, come to the restaurant and taste some good local dishes such as the traditional music fries « or « pêlla » or at your convenience, à la carte dishes, our team will brighten your taste buds! A considerable asset for a peaceful holiday: an exclusively pedestrian site ! Indeed, for the safety and tranquility of everyone, the site is pedestrian (excluding arrival/departure days). Children will be safe and will be able to walk around the campsite without fear. 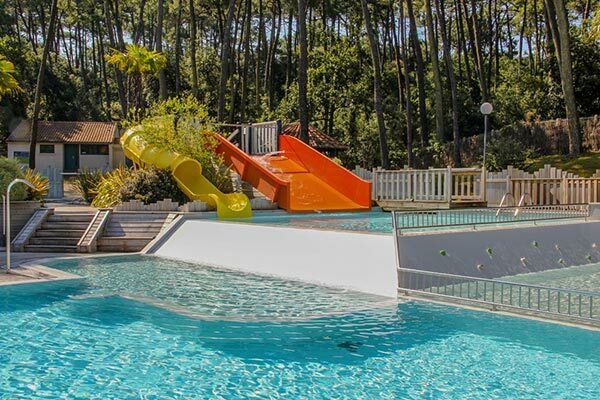 At Océan Vacances, you are as close as possible to nature, in peace and quiet, under the pines, in the water, in the aquatic space or in the ocean at 750 metres, under the stars, in front of a sunset, unforgettable days for a successful holiday! Unique to Saint Georges de Didonne, our outdoor hotel innovates by giving priority to pedestrians. This means that charcoal and wood barbecues are prohibited. Pets are allowed throughout the village on a conditional holiday. Please inquire beforehand at the reception of your village Holidays. Reservation recommended (minimum length of stay: a minimum week in July and August). Arrival/Departure possible on Wednesday and Saturday. Donec in efficitur. Aliquam fringilla id pulvinar ultricies accumsan elementum libero.